Houthi leader of Haradh battlefront, Mohammed Ali al-Arjali was killed, during clashes on Tuesday, Al Arabiya sources revealed. 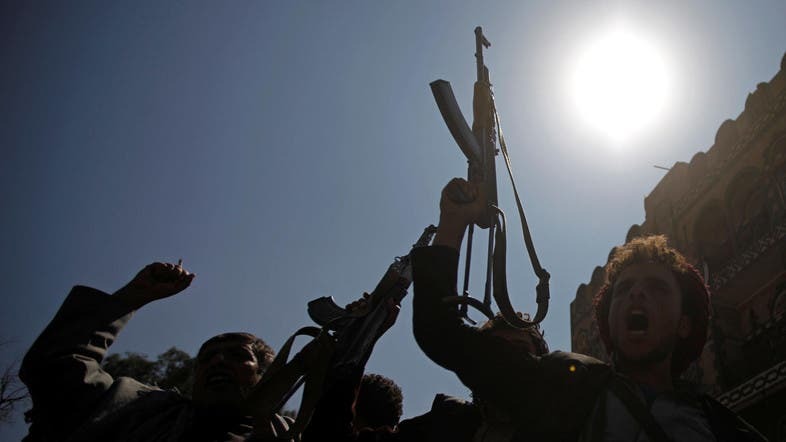 Yemen’s national army had initiated a wide military operation against Houthis and ousted President Saleh with the support of the coalition aircrafts. The coalition had paved the way for these operations through a series of shells targeting militias’ sites in Haradh, Midi and the Tawal border crossing. Field military sources reported that these artillery bombing engendered dozens of deaths and injuries in the ranks of the militias. Dozens others were detained and military vehicles and equipment were also destroyed. The sources also revealed that the operation started with focused air and sea attacks targeting Saleh and Houthi forces sites in Haradh and Midi, along with resorting to minesweeper to pave the way for a ground attack. According to military sources, 6 military brigades, namely the second brigade of border guards, brigade 82, brigade 10, brigade 25, brigade 105 and the third brigade of the border guards consisting of more 10 thousand fighters, along with military engineering units and minesweepers, were involved in these operation. In another operation, dozens of militiamen were killed by coalition aircrafts that targeted the militias military convoy in Bakir al-Mir, in the eastern side of Haradh. Meanwhile Saudi Arabia’s air defense systems destroyed a Houthi missile on Tuesday, headed to Najran.